Eleven of the twenty-two film orders of Eniaios have been premiered at the Temenos site near Lyssarea in four year intervals – 2004, 2008, 2012 and 2016 – to a group of spectators who had traveled from Europe, North & South America and Australia especially for the event. 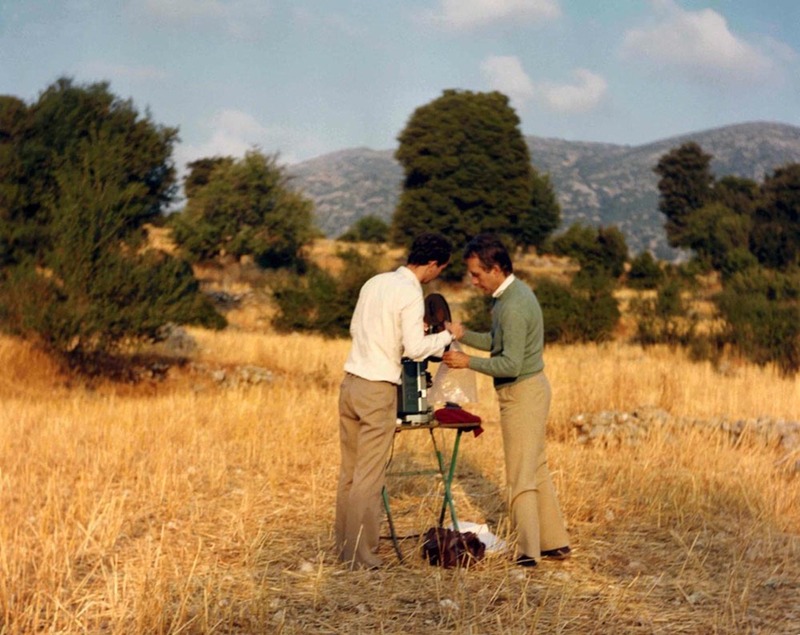 Screenings of Eniaios at the Temenos site will continue as the restoration and printing of the film moves towards completion. Markopoulos wished to create a deeply personal and rewarding cinematic experience for his spectators. 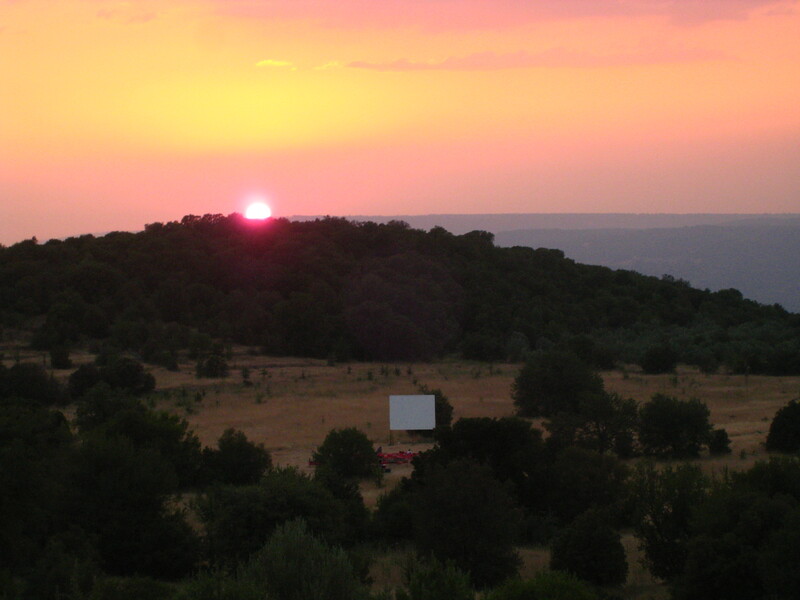 He chose the site near Lyssaraia, his father’s birthplace, for its natural beauty and conceived the Temenos as a space uniquely in harmony with the film as an instrument of philosophical and psychological revelation. The spectator’s journey to the Temenos anticipates the more extraordinary journey that takes place in front of the projection screen. The serene pace and gradual development of the film allows the viewer to perceive his or her own emotions in dialogue with the filmmaker’s concentrated, fleeting images. 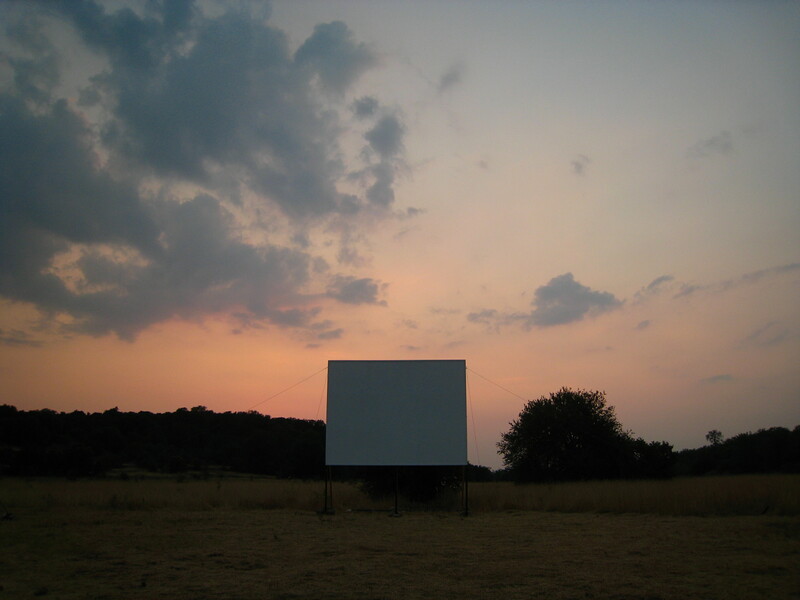 It is what Markopoulos designated “the intuition space.” Each screening begins with the setting of the sun and continues for approximately three hours under the movement of the heavens. There is no charge for admission. Each film order is an autonomous part of Eniaios: it is not necessary to have seen the earlier orders. A small buffet for Temenos spectators is served in the main square of Lyssaraia on the evening before the first screening. Lodgings must be confirmed in advance either for the limited number of rooms in the hotel and guesthouses at Loutra Ireas or in the vicinity and for the campsite. Requests for reservations should be made via mail@thetemenos.org. The next Temenos screening of Eniaios XII -XIV is planned for 2020.